Ok, now I’m bummed. I collect Sheaffer Targas, have spoken to Bill over the years, and would have been very happy had he donated his Targa collection to me. Some of the 160 Sheaffer quality Targa writing instruments donated by Bill Sexauer, a pen collector from Washington State that will be featured at an upcoming exhibit at the Sheaffer Pen Museum are shown Friday at the Museum. 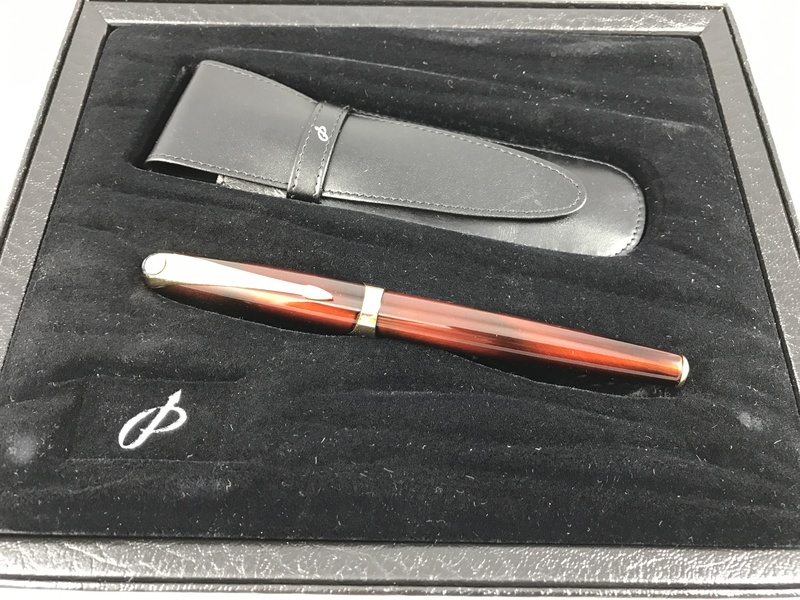 ….Last month, respected pen collector Bill Sexauer donated his collection of 160 rare Targa Pens manufactured by the Sheaffer Pen Co. Sexauer, who lives in Washington state, is a retired Boeing engineer with an enormous pen collection. He personally researched and cataloged every pen he owns. Sheaffer manufactured the Targa model from 1976 well into the 1990s. 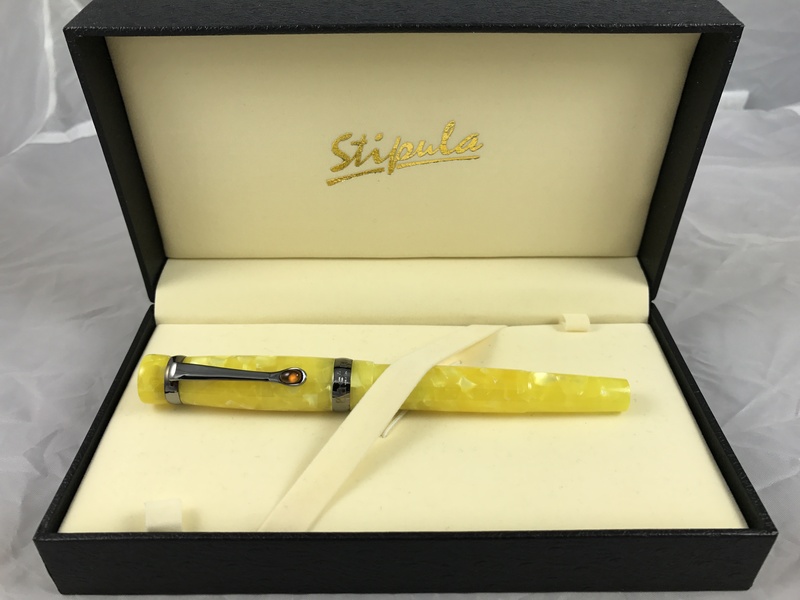 Notably included in this special exhibit are some Targa pens with diamond clips, several with opal end caps, a few prototypes and the incredibly rare Vannerie 18k gold French-produced masterpiece.